You are here: Home » News » News & Updates » Space Flight: The Ultimate Incentive? Space Flight: The Ultimate Incentive? Is there anything more inspiring than the possibilities of space travel? According to a new report from the Engineering and Technology Magazine , a team of academics from the University of York certainly don&apos;t think so. The researchers are planning to employ a rather interesting new tactic, in a bid to inspire the next generation of engineers; they will investigate whether human space flight missions increase the interest of school age children, in science, technology, engineering and mathematics (STEM) subjects. The project, which is being funded by the UK Space Agency and the Economic and Social Research Council (ESRC), will run for three years and is set to start this January. 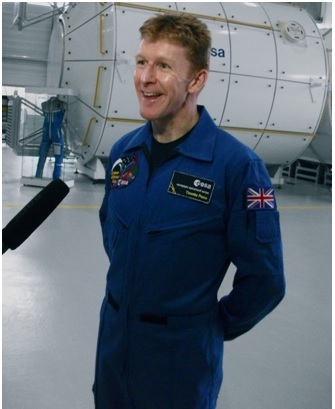 It will see a team of science education researchers from the University of York join forces with a number of leading space scientists and primarily focus on the British astronaut Tim Peake’s, planned mission to the International Space Station, which will be launched in November this year. According to the team behind the study, there&apos;s anecdotal evidence to suggest that space travel has the ability to increase the interest of young people in fields such as science and engineering. Tim Peake’s upcoming space mission provides an ideal opportunity to test this hypothesis. The study aims to collect the views of students from a total of 60 schools (both primary and secondary). Additionally, perspectives will also be gained from space scientists as to what areas of the industry they think are most likely to inspire students. It&apos;s hoped that in addition to encouraging more students to take an interest in STEM subjects, the project will also help us to find out more, about what exactly inspires people to participate in, and develop a lifelong passion for, STEM subjects in the first place. It&apos;ll be exciting to see what the outcome of creative initiatives such as this, designed to increase participation in the engineering field, will be. Here at European Springs we’re proud supporters of the engineering industry and the issue of the impending engineering skills crisis is something we’re passionate about solving. After all, we’re suppliers of an array of high-quality spring products, including torsion springs, which are used for a wide range of engineering applications. For more information about our range of products and services, please don&apos;t hesitate to contact us today, by giving us a call on +44 (0) 208 663 1800, to speak to a member of our friendly team.